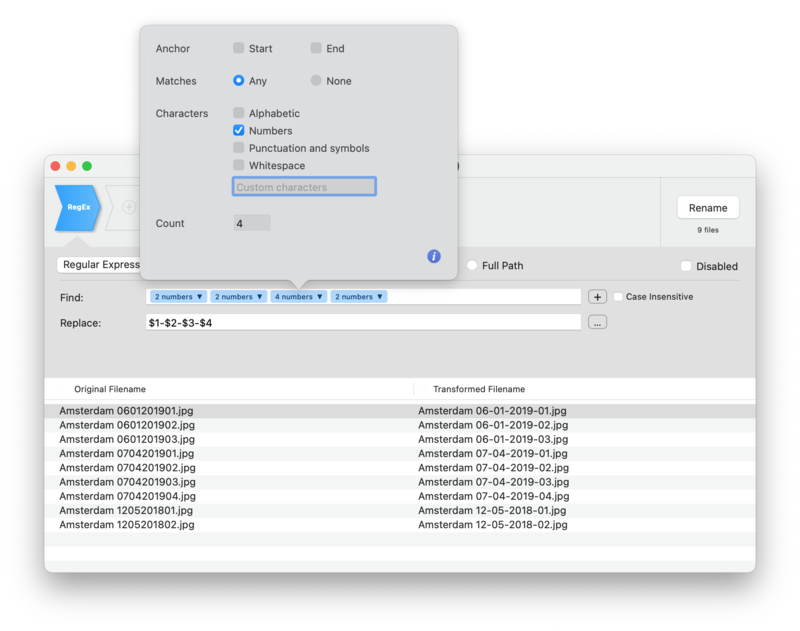 Rename many files at once, simple, powerful... and it's free! 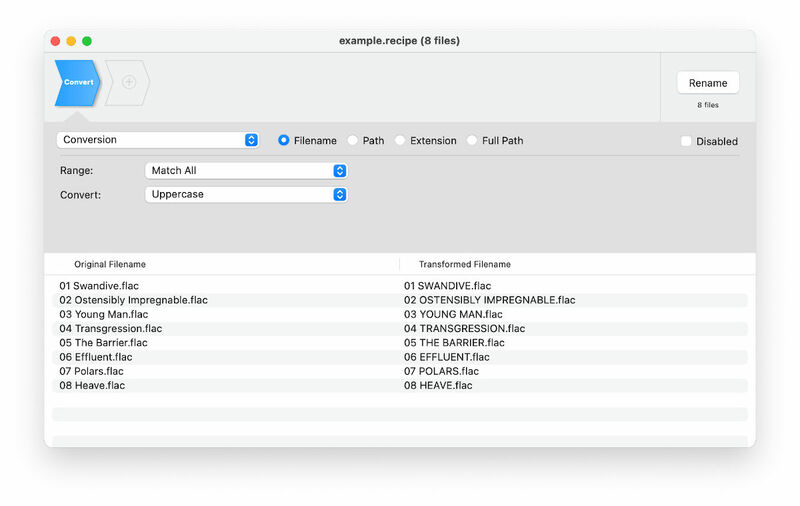 Transnomino offers a set of renaming actions, ranging from simple text replacements to more complex replacements using Regular Expressions and insertions of text based on attributes of the files. 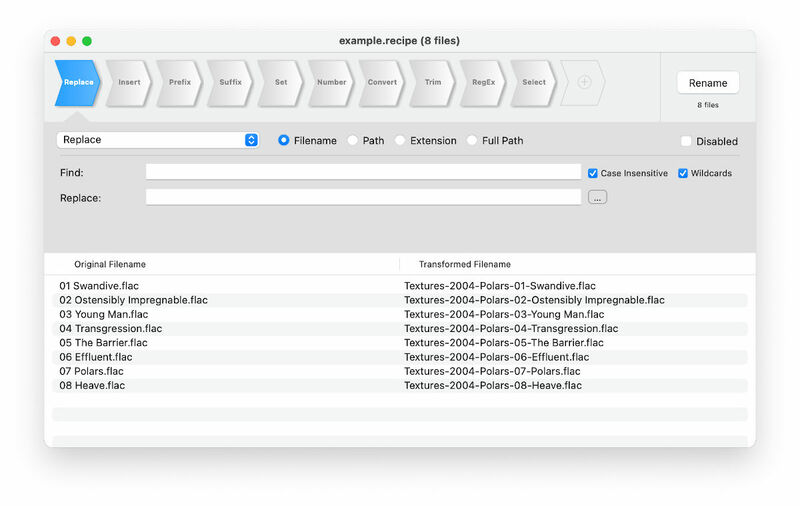 Any number of these renaming actions can be placed in sequence and you can directly preview the results while you create them. 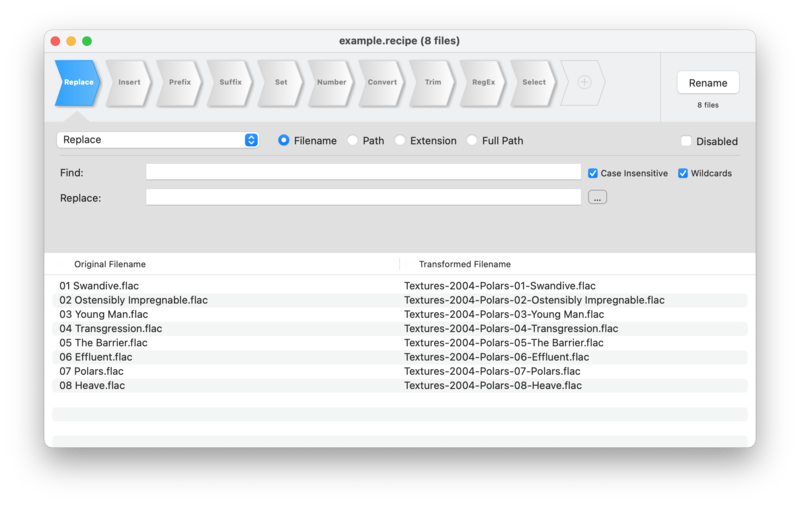 Each of the renaming actions can operate on the Filename, Path or Extension of the files. 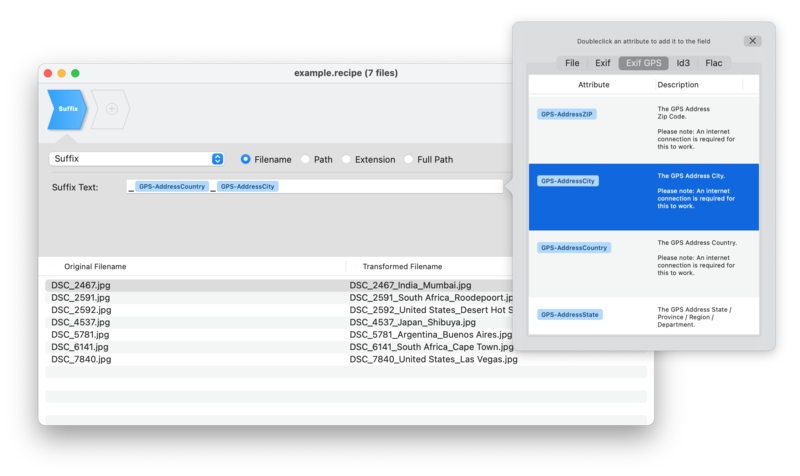 Use Path renaming to organize your files in directories based on the creation date. Or maybe organize your photos in different directories by date and GPS Address. Anything is possible. 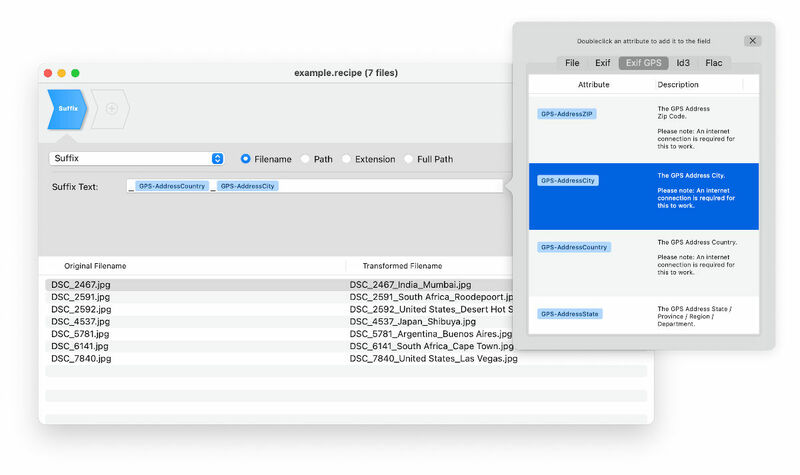 File Attributes like date-created, ID3 and EXIF data can be added to the filename or path as well. Dates can be formatted exactly the way you want it by either selecting one of the pre-set formats or to specify your own. For images containging EXIF GPS coordinates the Latitude and Longitude coordinates can be used to look-up Address information like Street, City and Country. 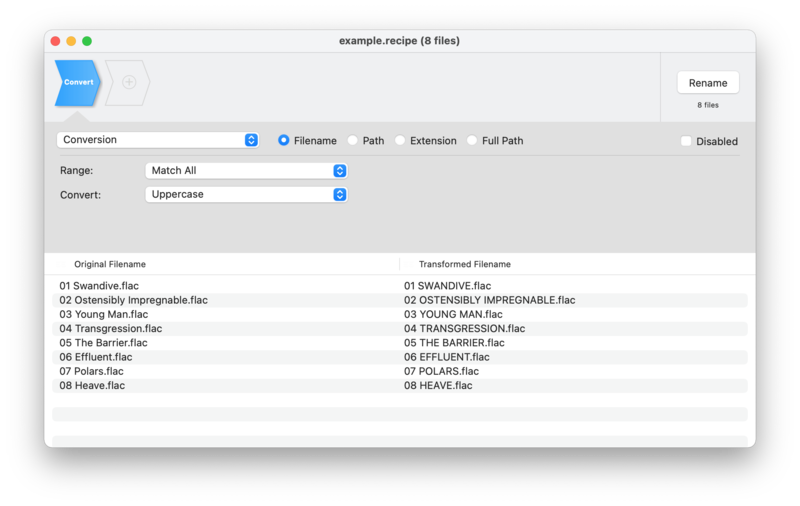 For a complete list of supported File Attributes, see the changelog. Numbering can be added to the beginning or end of the filename. 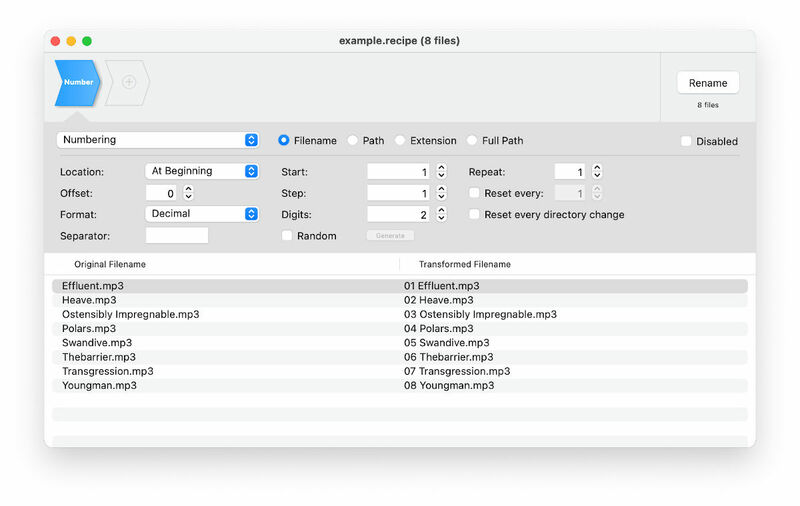 It's possible to exactly specify the number of digits to allow for better sorting of the files by filename. The numbering can start from any number and it is possible to skip numbers as well. The files in the list can be sorted or manually dragged and dropped to change the order. Need more specialised text manipulations? 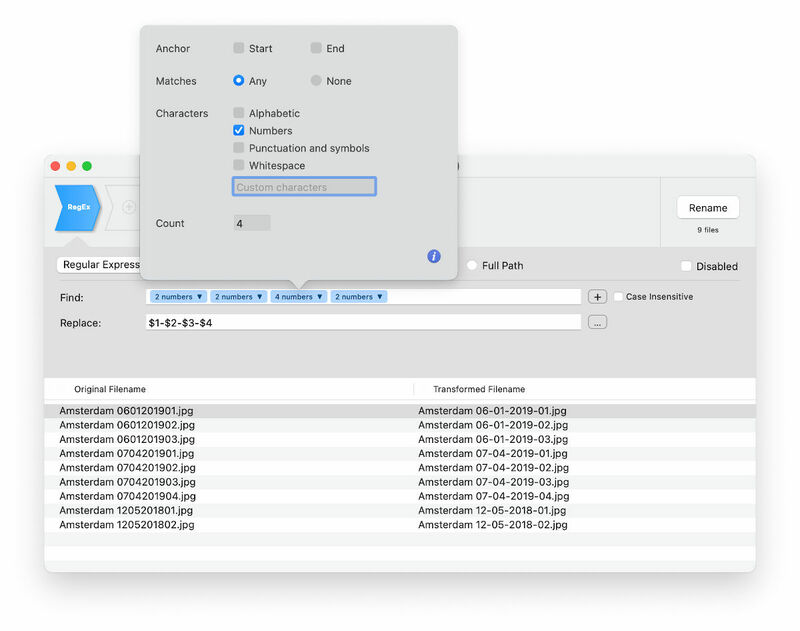 Transnomino supports the use of Regular Expressions, which allows for more complex text manipulations. And last but but not least, your favourite renaming sequences can be saved as a recipe to be re-used later.